Frame, aka James Burgoyne, is a 22 year old rapper, singer and songwriter from Melbourne, Australia that uses smooth melodies and vulnerable, well constructed lyrics to deliver meaningful & catchy love songs. Hailing from the east side of Melbourne, Frame has used his music to share his journey of properly understanding and practicing self love & how that inevitably flows through into love for others. 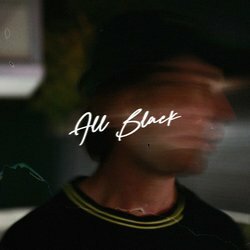 'All Black' is a pop-rap banger about falling in love on a night out.